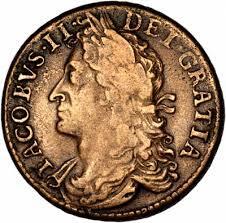 Between 1689 and 1691 much civil war Gun money was struck, after 1691 intermittently coins were struck until 1822. 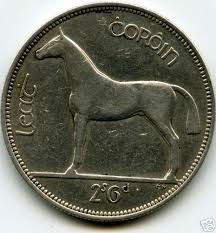 After a gap of 106 years modern Irish coins began in 1928 with coins being struck from Half Crowns down to Farthings. Different farm animals are featured on the reverse.